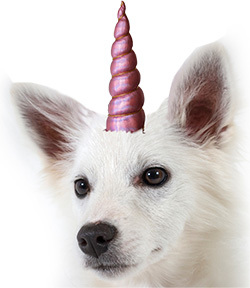 Unleash the magic in every pet with these whimsical Unicorn Horns. These plush horns are 5" tall and come with an elastic strap that will fit heads from 6" to 12". 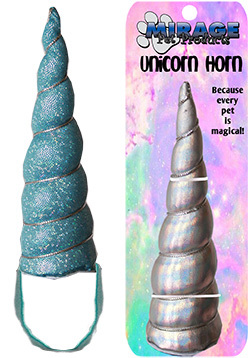 Magic horns have an iridescent finish. Sparkle horns are made with a sparkle sequin-like material. The metallic horns have a metallic finish.